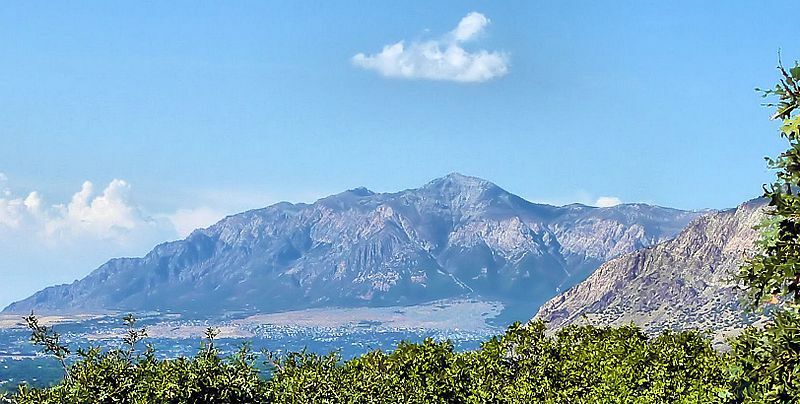 Ben Lomond Peak, just North of Ogden Utah is probably the most famous of the peaks in the northern portion of the Wasatch Mountains. There are a couple different trails that lead to the final climb to the peak. 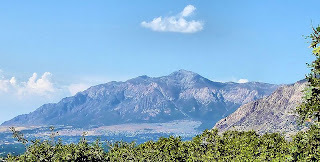 The trail I rode started in the North Ogden Divide and climbed North towards Ben Lomond Peak(seen from a distance to the right). The trail is very narrow single track and there are many tight switchbacks. It is open to hikers, mtn. bikers, horses, and dirt bikes so be prepared to share the trail. I encountered mainly hikers this time, all of which were very willing to yield. I didn't see any horses this time which usually require shutting down the bike and getting off the trail to let them by. I didn't get an accurate distance measurement, but by adding up a few routes on my gps the total mileage round trip looks to be just under 20 miles. Most of the trail is moderate to easy, but the last climb to the peak is difficult reaching nearly 10,000 feet. The rocky switchbacks require good technical ability and all of your attention to negotiate. This was my first time and I had 3 or 4 falls. Unfortunately there was still snow on the very upper portion of the trail which stopped my progress just before reaching the tip. I really enjoyed this trail. It had a good mix of switchbacks before it opened up on the top for a bit, then it gave it all to you with the challenging climb to the peak. Click the "Directions" link on the map below for detailed directions from your location to the trail head. Nice Vid! Got a little sketchy at 4:00, I'm sure enough to get your heart going faster!